Soda can crafts celebrate everything at the heart of the DIY movement. They show how a humble everyday item can be turned into stylish home decor worthy of display or gifting; they emphasize that recycling and upcycling are at the heart of an eco-conscious creative maker's movement; plus, they spark the imagination in ways that you would never guess until you've delved into this craft niche. In this project, you will learn one of the advanced skills of the niche: re-shaping the aluminum to create a design of your choosing. Although the technique is advanced, you'll be surprised to learn just how easy it is to accomplish. 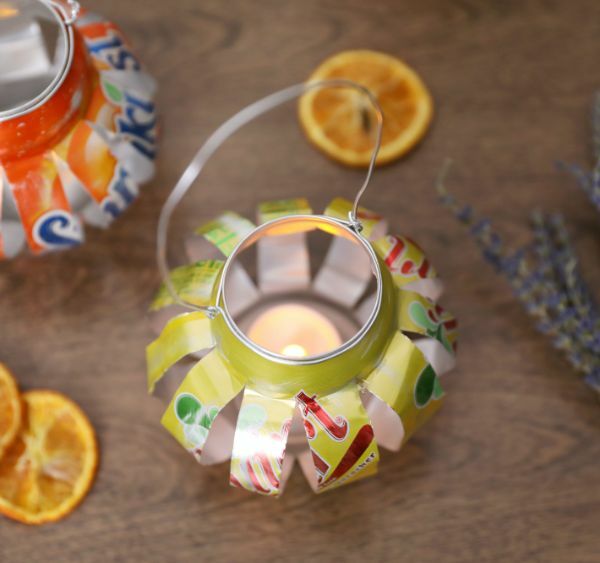 You'll also learn how to shape wire into a lantern holder, which takes this basic candle craft to the next level. 1. 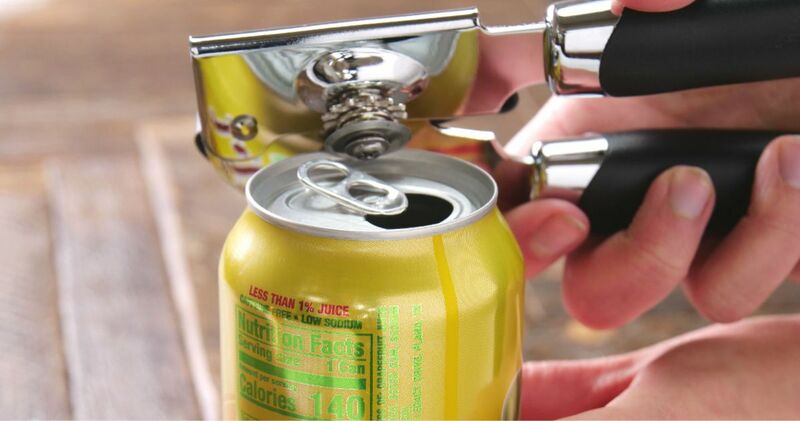 Remove the top of the soda can with a can opener. The top may drop down inside the can; just turn the can over to dump it back out. Discard the can top. 2. Rub the outside of the can down with the pumice stone or sand paper. This softens the can and gives it a more retro DIY look. 3. Lay the can flat on its side, holding it securely with your non-dominant hand. 4. Insert the tip of the Exacto knife into the can approximately 1/4" below the rim. Note that most standard soda cans have an indentation above the body of the can; insert right at this point. 5. Draw the Exacto knife down in a vertical line towards the bottom of the can. End the cut approximately 1/4" above the bottom of the can. Note that you may need to make several passes over the same vertical mark to cut follow through the can. Take your time and be careful not to cut yourself. 6. Repeat steps 3–6 to create parallel vertical cuts that are approximately 1/4" apart all the way around the entire can. 7. Hold the can in your hands so that your left palm is on the top of the can and your right palm is on the bottom of the can. Press your palms slowly towards each other so that the cut pieces of aluminum bow outwards. You may need to use your fingers to reach inside the can and push the aluminum pieces out a bit. Your fingers are a great tool for getting the right shape, so keep manipulating the aluminum slats until you have the look you desire. Just be careful, as there could be sharp edges. 8. Wrap wire around the open end of the can, securing it with a twist. Cut the wire with about 6" remaining. 9. Bend the remaining wire into an upside-down U-shape. Secure it to the opposite side of the wire circle with a twist. Cut off any remaining wire on either side. 10. Insert votive candle into the center of your lantern. Light and delight in it.